Fire protection is a necessity in every home and business. Each fire system Bulldog installs uses top of the line fire equipment and is fully equipped with the proper devices to sense any fire. We want to make sure that the fire is noticed and contacts the fire department before any damage is done. Bulldog makes sure that each device is installed in the proper locations throughout the building or home. Our expertly trained staff and technicians collaborate on what devices will be best utilized in each room. We install all systems in accordance with all city codes. Making sure that our customers and occupants in the building are aware of a fire is just as important as contacting the fire department. By Installing sirens and strobe lights you will be aware that there is an issue and to leave the building. Bulldog wants to make sure that our customer’s homes and business is safeguarded from the dangers and damages caused by fires. 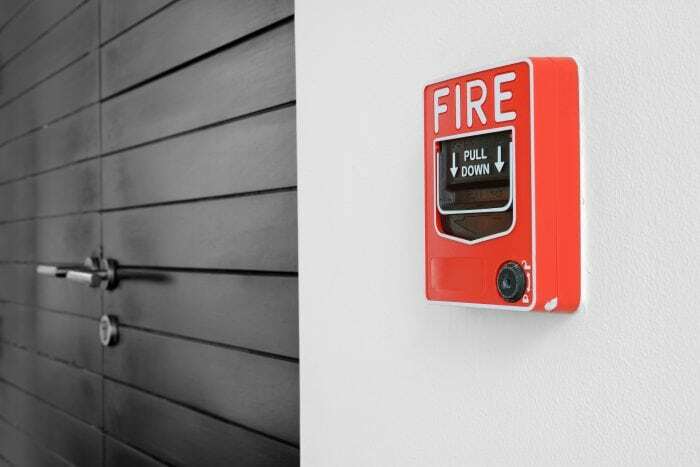 We provide 24/7 monitoring for all fire alarm systems. Bulldog Security Systems expertly installs fire alarm systems in homes and business across the North Shore and Chicagoland area.